-I am starting an interview series on this blog where I will invite the “ignited minds” whose thoughts, ideas, and life stories will help you to transform your life.It's always better to get valuable advice from the people who have achieved something big in life despite the obstacles and this interview series will help us in this mission. He lost his parents at the tender age of six in a car accident. To feed his hunger he had to work as a child laborer to newspapers delivery boy. He had no support to get a good education; however, he educated himself despite the obstacles. These traumatic childhood life experiences couldn’t stop him and he became the officer (Captain) in the armed forces to serve his motherland with integrity and sincerity. After resignation from the Indian army, he worked with best multinational companies in the world from different sectors and today he is a CAO (Chief Administrator Officer) of Indian telecommunication giant Matrix Cellular Services. His best-selling autobiography “Broken Crayons Can Still Colour”can inspire you to take action for fulfilling your dreams. Meet the man of indomitable courage and immense willpower, who wrote his own destiny – Captain Rakesh Walia. We are fortunate to interview Captain Rakesh Walia sir for this interview series.This Q&A round will definitely ignite the fire within you. 1: From child laborer to captain in the armed forces then successful corporate leader, your whole life is a great inspiration for everyone. How difficult it was for you to fight with the worst circumstances? Captain Rakesh Walia: For me, life had always been a challenge from childhood because as an orphan child I had no other choice but to struggle for survival. I resigned from the army because of my wife’s critical illness. I joined the stock exchange with zero knowledge before starting the journey of the corporate world. The main problem was a difference between the mindset. As I was from the Army so it was very difficult for me to adjust to civilian’s corporate world, however, I was determined to give my best in all my endeavors. 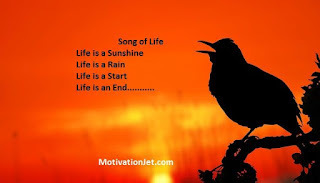 Yes,…life was very difficult but at the same time, I learned the valuable life lessons from all these experiences. 2: “I must come back wrapped in the national flag” it was your answer to the question, why did you join the army. Why and when you decided to join the army? Captain Rakesh Walia: I decided to join the army at a very young age. During 1971 war, I could listen only “Bharat Mata ki Jai” (Victory for Mother India) everywhere. It was a time when I thought if I couldn’t serve my own mother then I must serve my motherland. It was my dream to sacrifice my life for the country. 3: As an ex-army officer you know the importance of discipline in life. According to you, Why discipline plays an important role in personal and professional success? Captain Rakesh Walia: When you choose a discipline, your character and behavior reflect the signs of it. It can also lead you to good time management, and strong leadership. It means you should never keep your work pending and must take the responsibility for your own work. Success is a journey and at the end, only committed and disciplined man can succeed. 4: “Never Give Up” three motivational words, we hear often but how actually one should keep going on when going gets tough? Captain Rakesh Walia: There is a saying- When going gets tough, the tough get going. It means when you don’t give yourself a second choice or chance then it becomes a do or die situation. The moment you give yourself an alternative like if, and but, you dilute your ultimate aim. In my opinion, don’t give the second choice to yourself and you will definitely get inspiration to keep going because you don’t have any choice, your mind will focus only to achieve whatever you want. 5: Rejection and failure are daunting for many of us. How should we handle the rejection and failure? Captain Rakesh Walia: First, you must understand that rejection and failure is a natural process of growing up. Don’t get demoralized when rejected instead prepare yourself and become so powerful that your failures and rejections look small in front of your determination. Fear of failure is natural but it should be taken as a lesson to learn and improve. Keep learning from your failure and rejection and it will become a stepping-stone to your massive success. 6: In the army, they taught you the most important life lesson-The Art of Survival.Surviving from negative attitude is like a battle, so how to get over negative mindset? Captain Rakesh Walia: Every one of us will get tired and negative in life at one time or the other, however; you must identify the cause of negativity. Maybe you are negative towards the outcomes because you couldn’t get the desired results. But before accepting the defeat you must accept the bitter truth that you didn’t plan well and another person was better than you. So don’t get into the trap of negative thoughts, because your mindset will decide your path of life. 7: “Deep within you, everyone has the strength to fight”, I got this wonderful tweet from your Tweeter handle. You’re right but how to identify that greater strength? Captain Rakesh Walia: God has given infinite power to everyone. Everyone can grow and expand their vision. Focus on your capability and accept your weaknesses. Transform your weaknesses into strengths by polishing your skills and don’t get into the defensive mode. Don’t be shy, don’t be ashamed of getting help from anyone. Everyone must learn the art of accepting criticism.Learning never ends in life. I am still learning. I learn from books, I learn from my juniors, I learn from my seniors, anybody and everybody can teach you, so be open to it and you will become mentally stronger day-by-day. 8. In your opinion, how much importance one should give to books in life? Captain Rakesh Walia: I can say that books are basic guides, still, books are important. 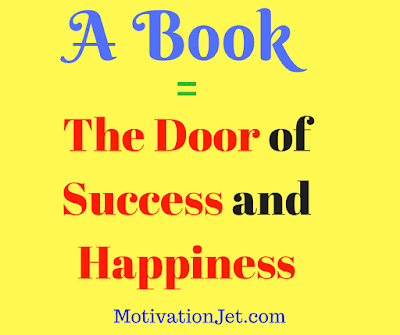 Books are there to give you knowledge about something, books can change your mindset, books can broaden your vision, but the life's circumstances and challenges are the practical guides and if you face those challenges you will become successful. Read books but be practical in life to succeed. 9: Your unprecedented success clarifies that setting the goals are the first step towards the tremendous achievements. How to be more determined towards the goals? Captain Rakesh Walia: First, you must know what you want to achieve in your life. When I decided to become an army officer, others were laughing at me. I had two choices-either quit or expand myself so much that I prove them wrong. And I chose the second path. Live for your goals and do everything to accomplish it. Don’t hear what the world is saying because the world will only say those things which they feel is right, which may not be right for you. You know what is right for you. Keep on walking. Hurdles will come but at the end, success will be there. 10. Broken Crayons Can Still Colour and Shaheen Must Die, what message do you want to convey through these two books? Captain Rakesh Walia: At every stage of my life, I felt I must give something to people around me and when I came into the corporate world, I wanted to share my life’s experience and knowledge with the world. "Broken Crayons Can Still Colour" is my autobiography- a story where the failures have been converted into success. It relates to every living human being. Through this book, I want to tell you the youth, no matter what the circumstances are you can still be a hero of your own life. "Shaheen Must Die" is a patriotic fiction. It’s a story of sacrifice and love. Sacrifice is the word, which can define your whole life; it means you have to sacrifice something important to gain something bigger in life. 11.Students are precious assets to our country but they are confused when it comes to choosing the right career. You educated yourself without any support. What is your valuable advice for the students about education and career? Captain Rakesh Walia: You must ask yourself- What is my journey of life before taking any decision related to education and career. I have seen many engineers and MBA holders who are doing odd jobs. It is because we do not choose the subjects of our liking. We are directed towards our career by our parents, teachers or by some other people.Selection of your subjects are important because once you select them; it becomes your career goal. Choose the subjects as per your own temperament and interest then only it can align with your career goal. 12. “Don’t read success stories, you will get only message….Read failure stories, you will get some ideas to get success.”- Dr. A. P. J. Abdul Kalam. Which failure and success story inspired you most in your life? Captain Rakesh Walia: If I talk about failure story, it’s my own story as I failed and got rejected multiple times in my life. I couldn’t read much stories or books, as I had no resources at that time, but I had the privilege to read and listen to stories of Swami Vivekananda. He became my ideal. His Thoughts and stories still inspire me to do something better every day. 13.People who always blame the situations, your inspirational life story is a clearer revelation to them. How should we stop blaming and start working to becoming better with available resources? Captain Rakesh Walia: Every time we follow the path of least resistance, we are in our comfort zone. Excuses always ready for not doing the right things but one need to condition their mind and body to do the most important things first. Make your priorities very clear and work towards it. First, finish your duty, and then do the less important things. Conditions will be unfavorable most of the time. Focus on what you have rather than what you don’t have and you will get the right thing at the right time. 14: What are some most important tips you want to share with our readers for doing the impossible? Captain Rakesh Walia: As you have used this word Impossible, so first break this word into the pieces. Impossible - I Am Possible. Nothing is impossible and limitation lies only in mind. I want to share these important tips with your blog's readers. You cannot do anything and everything alone. The team is important. Build a team and look after them. Learn the art of giving. We want higher salaries, comfortable life, and respect in society, but we ignore to give a little bit extra for it. Before thinking about gaining, you must give your best. Be humble in life. Don’t be arrogant because humility always pays. Don’t use shortcuts. You may be succeeding today but tomorrow, you will be a loser because life is a process of elimination and not the process of selection, so at the end, only hard work and commitment will help you to thrive. You need to plan everything well in order to multiply your chances of success. Respect your colleagues and seniors. Especially respect your parents. On this earth, you can change everything but you cannot change your parents. I know how important are parents for life, you may be ignoring them today but you will regret and repent one day. Check following links to connect with Captain Rakesh Walia sir. We are grateful to Captain Rakesh Walia Sir for sharing the wisdom with us in the form of this life-changing interview. I am sure you've liked this interview. I will come up with more interviews so you can subscribe my email list to get instant notification . Share this interview on every social media platform to spread positivity and also let me know your valuable feedback through comments. Best Personal Development Books of all time. Books are the best investment you can do ever to secure your future and life, because Personal development books are an unhidden but priceless treasure house of Wisdom, Knowledge, and Experience.Little books can help you achieve tremendous success and when you succeed you set examples for others, so ultimately books can transform your whole life. Here are 5 powerful questions for you. Do you doubt your abilities? Do you afraid to take action? Have you developed a negatvie mindset? Are you going through adverse situations? Here is the single answer- Start Reading Motivational , and Personal Growth Books.Your life won't change immediately but eventually Your Mindset will change. Bravo ! You have won the Half battle. To kill the invisible enemy and to win the battle, you need to take a life-changing decision. What decision you should take? You must buy at least one book for taking action towards improving your life. You should also start presenting this magic to your loved ones. You should bookmark this page for future reading since it is a long post. Limited Offer ! Grab Fast ! Click and Enjoy ! Do you want to know the BEST BOOK that you must read? I know that book, and the best thing is you also know that book, but I will tell you about that magical book at the end of this post. It’s a surprise for you. However, you should keep reading this mega list of top personal development books or best personal growth books. This masterpiece book was first published in 1937, from then more than 100 Million copies have been sold.Many edited versions are also available of this book. Napoleon Hill, interviewed some very famous, wealthy, and great personalities at that time including Henry Ford, Thomas Edison, John D. Rockefeller, Woodrow Wilson to write this extraordinary book. To learn the art of changing your failure mindset to success mindset, you must read this profound research work of the father of the self-improvement books. The Power of Your Subconscious Mind is one of the most powerful and transformational books ever written. What can we learn from this book? What is a conscious and subconscious mind? How can we program our subconscious mind? How can we use the unlimited power of subconscious mind to achieve great success and abundance? This remarkable book is one of the greatest self-help books ever written on the topic of success and personal achievement. This book has sixteen lessons. Here are some foundational lessons from the book. Robin Sharma has written a very interesting, and inspirational story in the form of a conversation between the two friends.After reading this book your mentality towards materialism will definitely change. You should definitely read this book. An excellent storytelling that narrates, how the protagonist, a young shepherd boy from south Spain leave everything behind to find the hidden treasure. The core message- Follow your dreams. When you follow your intuition, you will definitely get what you are searching. One of the best-selling books based on the Law of Attraction. Personally, I am not a believer in this theory, however, if you think visualization has the power to transform your goals into reality, and the Universe will deliver what you want then you can pick this controversial book. A must read self-improvement book for students, and lifelong learners, as they always believe in sharpening their skills.It’s a very short book and can be completed in a single sitting. Here are the three smart tips from this self-development book on how to brush up your skills. Spend fifteen minutes a day engraving the skill on your brain. Buy a notebook- Buy a notebook to write down your ideas, and thoughts for taking action. A very inspiring and simple message Tolle wants to convey through this fantastic book is-Live in the present moment. This moment is more powerful than past and future. You must choose this book if you are a person who always worries about past and future happenings. In this well-researched book, Malcolm argues that intensive 10, 000-hour practice is the magic number of greatness and without completing the 10, 000-hour practice it’s not possible to obtain the expertise in any field. It’s not a typical personal development book. You will go through various case studies and statistics that are worth reading to understand the Power of Practice. One of the best-selling personal development books of all time, which was originally published in 1936. What can we learn from this incredible and timeless classic? How can we increase our popularity among the people? How can we handle complaints, and avoid unnecessary arguments? How can we make a good first impression when meeting people? The seven habits of highly successful people on which Stephen Covey has written this extremely helpful personal development book. If the answer is yes, then you must read this excellent book on productivity. It’s a little book, filled with actionable practical tips and techniques which are applicable to all of us. This book shows us how to stop procrastination and how to start living a productive life. Awaken the Giant Within is a very good uplifting book that deals with several topics and provide great insights on how to shape your destiny as per your wish. Powerful Message from the book- The secret of success is learning how to use pain and pleasure instead of having pain and pleasure use you. If you do that, you’re in control of your life, if don’t, life controls you. 1 sentence review- Your thoughts are so powerful. Believe in yourself and take control of your thoughts then you can yield the desired results.You should buy this book to understand how positive or negative thoughts can influence your reality. You don't want to miss the Best Deal ! This is a very good read on money management and financial literacy. Work to Learn- Don’t Work for Money. 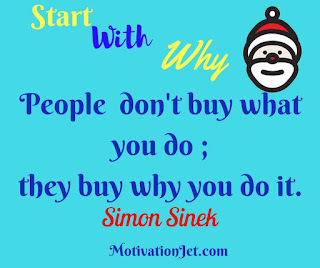 This powerful quote that tells you everything about this book- People don't buy what you do; they buy why you do it. One of the best books on business management. A knowledgeable read for people from marketing domain, however, anyone will enjoy reading the book, as this book also offers valuable insights on leadership. A simple, quick read and interesting self-development book which everyone will love to read.Who Moved My Cheese, is a beautiful reminder that life is simple but always in motion, but to succeed we must accept the change. We must be adaptable. This book has a nice collection of short stories. Some stories are very heart touching and surprising. You should grab this book if you love to read inspirational and motivational stories. Short Summary: The Magic of Thinking Big unveils why you should set big goals to skyrocket your success. If you always doubt your abilities, and skills then this book can change your thinking, as this great book will also encourage you to believe in yourself. If you are looking to take control of your bad and destructive habits, then this wonderful book can certainly help you. It’s a well-researched book and gives you valuable information on habit formation, and human nature through various case studies and scientific search. It’s a very enjoyable self-help book to read. The most salient message from the book is- love yourself, and change your thoughts patterns; you can definitely change and heal your life. This book has some effective and practical tips to overcome anxiety and stress. Decide what you want and work for it. This book is like a manual for those interested in making a transformation in life. A short, easy to read, and beautifully written book that will teach you how to maintain emotional, physical, and spiritual balance in life. The modeling of human excellence. Leadership- The challenge of excellence. It’s a great book to learn more about Neuro-Linguistic Programming. Anyone who doubts their creativity. Everyone who wants to explore their creative side. To develop a creative mindset and to unlock the creativity you must consider this entertaining and engaging work of writing by Elizabeth Gilbert. Daniel Kahneman won the Nobel Prize in Economics in 2002. This brilliant book delves into the study of mind. Obviously, it involves work of research, and that’s why the book is lengthy but it is a worthwhile read. It's a very good read for anyone who is interested to know more about human psychology. This book has a collection of interviews with Tenzin Gyatso aka Dalai Lama. In this engaging, and wonderfully written book the Dalai Lama explains how the concept of Buddhism can be applied to find happiness. And how principles of Buddhism can enrich the typical life. A book based on the Pareto principle also known as the 80/20 rule. It’s an inspiring book on the time management, productivity, and business management. The central theme of the book- 80% of the results come from doing the 20% of the work that truly matters. Do the only 20% that matters the most, and you will achieve 80% of the results. 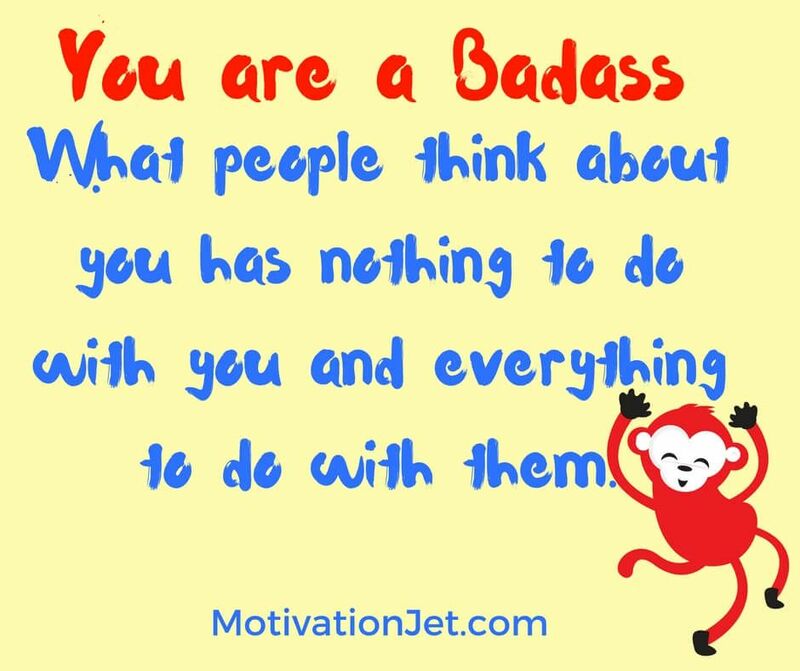 The powerful and life-changing message from one of the greatest self-help books ever written - Whatever the human mind can conceive and believe, the human mind can achieve with a Positive Mental Attitude (PMA). This book is all about how to rearrange your life in such a way to give more time, energy to what is important, and less time to what isn’t. In this enormous book Tony Robbins shares insights on effective financial planning. If you want to know how to invest money wisely, how to save more money and how to become financially independent then this book can assist you for the same, though you need to understand basic financial structure first to grasp everything from this great work. Tools of Titans is a collection of interviews from highly successful and wealthy people including celebrities, and athletes. If you want to know how successful people attain massive success, what daily routines they follow, and what are some common good habits of peak performers then you must need to grab this book. You will learn about the unique 2-minute rule. If you think any task can be done in 2-minutes, you should not avoid it. It’s a very useful and practical book on productivity, and time management. In this effective book, the author clearly explains the difference between intrinsic and extrinsic motivation. 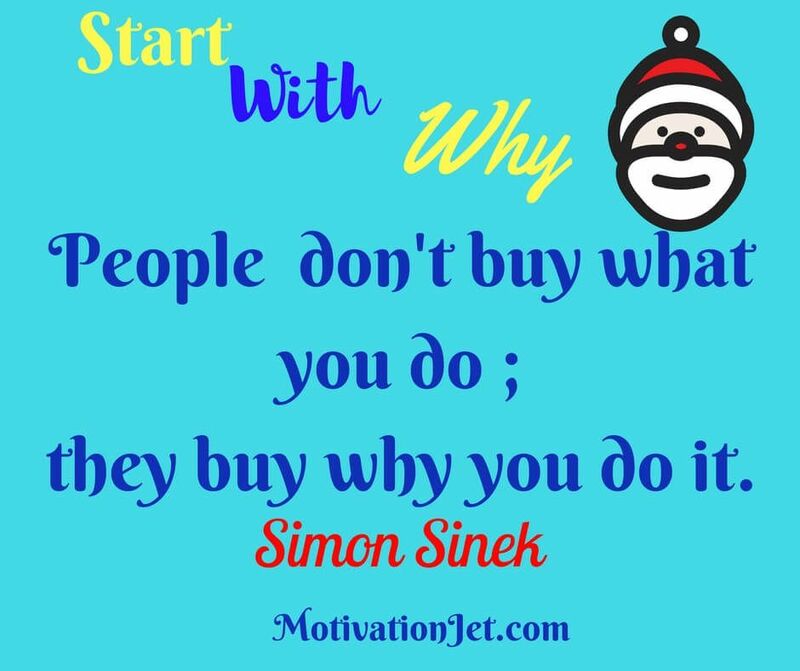 The author also shades the light on why we do certain things, and why internal motivation is necessary to achieve big goals. It's definitely a good book to read for everyone. The bottom line of the book- You can become successful with less discipline than you think, for one simple reason: Success is about doing the right thing (the one thing), not about doing everything right because achievers always work from a clear sense of priority. In this funny, and entertaining book author establishes his point on over obsessing, over thinking and other psychological issues that we have. He also teaches us how to live a less-anxious life. A good inspirational book filled with motivational stories and positiveness quotes. The core of the book is: Attitude is everything. By developing a positive attitude, you can succeed in personal and professional life. 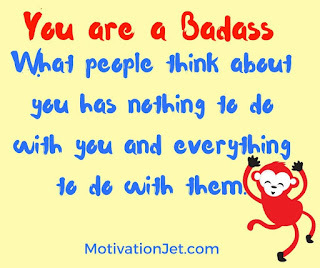 Best quote from the book- What other people think about you has nothing to do with you and everything to do with them. Anyone who is looking for a light-hearted, witty style self-help literature should pick this awesome book. After reading this book, you will definitely enjoy your greatness. The Central Message from the book- Perfectionism is self-destructive simply because there are no such things as perfect. Perfection is an unattainable goal.A must read self-development book for those who always afraid to take actions because they think they are not perfect. Be bold in all of your actions. Use every source you have to defeat an enemy. Who should choose this book? If you are an entrepreneur or marketer looking to gain the maximum exposure for your brand and if you are ready to do anything for it. This book will teach you how to change your fixed mindset and how to develop a growth mindset.According to the author, you should develop a growth mindset, because, the growth mindset allows you to value what you're doing regardless of the outcome. It is definitely a good read for parents, and teachers. Very Short Review: An inspirational story about a man who was born without legs and arms, however, he overcomes physical disabilities through the strong self-belief and faith in almighty. One of best motivational books, you will read ever.This book teaches you how to improve self-image, how to set meaningful goals with a positive mindset and how to achieve top position in business and life. Here are some core concepts or strategies from the highly effective self-help book. Unleash the power of goals. It is definitely a good book to read because of its practical ideas on wealth creation. You must take initiative to read this unique book to understand more about ancient toltec wisdom. In this well-written book, psychotherapist Richard Carlson suggests some simple, effective, and practical tips on how to improve your relationships, how to find more peace of mind, and how to appreciate what you have rather than chasing the things that you don’t have. A must read for everyone because to succeed we need to change our perspective towards the failure and this book explains how can we transform failure into success. An emotional, heart touching, and motivational story that everyone should read. Randy Pausch, a computer professor, who is dying from cancer shares his life’s journey. A simple but true message for everyone- Everything is uncertain, there is only one thing that is certain to happen and we cannot control that thing. This book teaches Samatha and Vipassana meditation skills. It also teaches how to concentrate on your goals and earn better results. The subject is boring but presented beautifully by the author. This book can be a very effective and practical goal-setting guide for you. It has easy to follow pieces of advice on time management and productivity. A 68 pages short, sweet, and life-changing, must-read book packed with the beautiful message- As you love yourself, life loves you back. It is one of the best selling non-fiction books of all time written by a Harvard-educated psychiatrist. Anyone who wants to develop a better understanding of love, religion, psychology and spiritual growth should consider reading this book. In this well-written book author clearly explains the relationship between thoughts and actions. The Core of the book: It’s a fundamental truth, we all are the product of our thoughts. To achieve the goals we must master our minds, and direct our thoughts. What we think about ourselves, eventually we will become the same person. 1 sentence review- It is an effective, easy and interesting read for those who are afraid to take powerful actions in their life, only because of hidden fear of failure. A fantastic read for anyone who wants to achieve mastery of any skill. Robert Greene has presented studies and interviews of some of the best masters in their respective fields. The author also provides tips and strategies on how to become a master of any field. A great writing work packed with wisdom and insight about beautiful life. The author shares his personal life story about his struggle and success. A short read but there are some great life lessons to learn from this book. In this book, Richard Bach narrates a very inspirational story about a Seagull who never dares to follow his own dreams, and become a seagull that others admire for his courage. It has a very inspiring message for everybody- anything is possible if you have the courage to believe in yourself. It is a great read for everybody, irrespective of age. This is not a traditional self-help book, but the horrifying story from this great classic memoir can change the way you see the challenges of life. The author wrote this book after surviving the Nazi concentration camps. It’s an extraordinary work of writing, that can help you find the meaning of your life in the dreadful time. Victor Frankl was of the world known psychiatrist who developed the new psychotherapeutic technique called logotherapy. Refer this wiki page about Logotherapy Technique. A great classic originally published in 1923, and divided into twenty-eight chapters. This book has a great collection of spiritual, philosophical, and inspirational poetic essays. We all want to live a happier and better life, but life is not a bed of roses, and ups and downs are the part of life. It’s an interesting, helpful, positive, and inspirational book to read for learning the secrets of happier life. In this book author tells us the difference between change and transition. According to author change is situational, on the other hand, transition is psychological. Anyone who is going through transition process in life, should consider this beautifully written work. Malcolm tells many interesting stories in this great self-development book to illustrate concepts of our mind’s thinking process. It is a fascinating study of how our conscious and subconscious mind makes decisions in a fraction of a second. Powerful inspirational quote from the book- The best performers set goals that are not about the outcome but about the process of reaching the outcome. An outstanding book that explains, talent is not the only thing requires for achieving great success in life but continuous practice is the key to gain the expertise. Tim S. Grover is the man who had personally trained the greatest Basketball players including Michael Jordan, and Kobe Bryant. 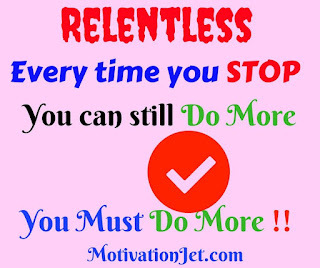 The Key Point of the Book- Being relentless means demanding more of yourself than anyone else could demand of you, knowing that every time you stop, you can still do more. 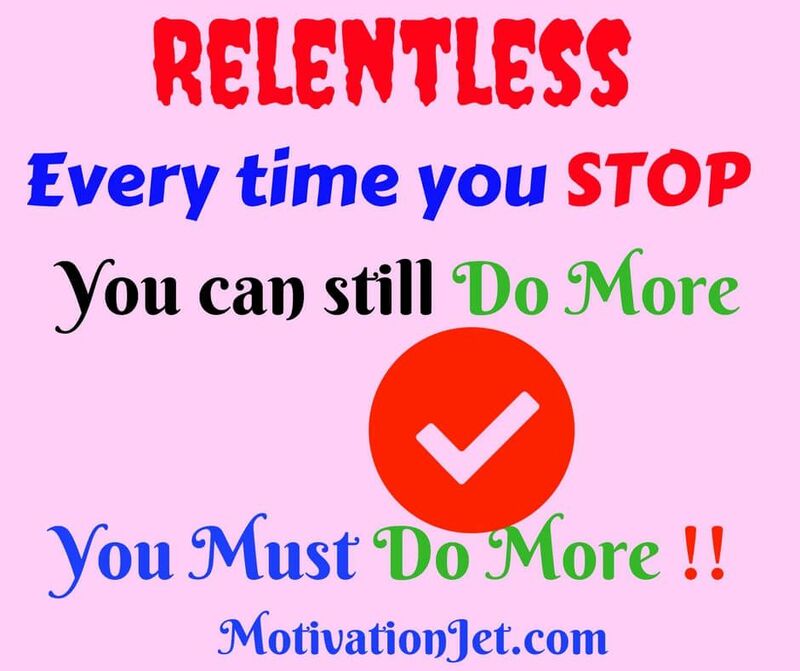 You must do more. A short, but a very inspirational book that narrates the story of Hafid, a camel boy and his burning desires to improve quality of his life. It has many practical success principles to apply for achieving greatness, not only in business but also in life. The Richest Man in Babylon is a timeless classic on financial wisdom. In this book, you will learn the secrets of financial planning from the Ancients. If you are looking to get advice on how to invest your money more wisely, you can consider this book. Definitely, secrets of financial freedom are from the ages, still, it may be relevant to modern day’s financial structure. If you are an introvert like me, who wants to know the benefits of introvert behavior or personality and who aspires to become a leader, but some personality traits are holding you back to achieve the goal, then it's the best book for you. Words of wisdom from the book- If you decide that you’re going to be happy from now on for the rest of your life, you will not only be happy, you will become enlightened. If you want to learn the art of letting go through various spiritual practices then this book will help you for the same. The life-changing message from the book- It’s not the big things that add up in the end; it’s hundreds, thousands, or millions of little things that separate the ordinary from the extraordinary. This great personal growth book shows us how to yield the massive results by transforming small decisions into daily habits. Author wants to change our perspective on obstacles in this book, as our perceptions are the thing that we're in complete control of. Motivational quote from the book- The obstacle in the path becomes the path. Never forget, within every obstacle is an opportunity to improve your condition. First Things First is a great self-help book that will teach you, how to set your priorities in life, how to make the best decisions according to situations, how to manage your time effectively, and how to improve quality of life by putting most important things first. The highly readable and interesting science book defines how our belief system can change our behavior. Written by a cellular biologist, Dr. Lipton presents a scientific study of positive subconscious programming. 1 sentence review- Filled with scientific studies and anecdotes, this book clearly provides clearer insights on changing patterns of human behavior. In this great motivational book, the author teaches you how to see opportunities in problems, and how to solve bigger problems with right mental attitude. Though you have to encounter with some religious beliefs, still it's a good book to read. The key message from the book- Understand yourself and take action based upon your values, and your strengths, then you will thrive better because in the knowledge economy success comes to those who know themselves. The Powerful message from the book- One of the major differences between successful and unsuccessful people is that the former look for problems to resolve, whereas the latter make every attempt to avoid them. Set bigger goals and take massive action then only you can attain tremendous success. It’s a great insightful book on money management with practical ideas. Certainly, not a get rich quick type book, but explains, how to use, manage, and save money to join the millionaire group. A simple, and short book that tells you some basic habits to improve your life. Here is a simple yet powerful suggestion by the author- Make a list of the tasks you want to complete by the end of the day. Try to be realistic, rather than planning too much. A very inspiring self-development book to read filled with so much wisdom. The central idea of the book- We must remember we are not the sum of our intentions but of our actions. Better communication is the stepping-stone to success in personal and professional life, no doubt on it. This book explains some timeless and foundational principles on how should we interact with people more effectively and confidently. It’s an awesome self-improvement book to read for people from all walks of life. Twenty-Five Hundred years ago, Sun Tzu, a Chinese general, military strategist, and philosopher wrote this classic book, based on Chinese warfare and military thought. Many authors translated this book; however, they couldn’t retain the originality of this ultimate and ancient classic. This book describes the strategies that can be applied to business for winning the battle of competition. These strategies are also useful in day-to-day life to lead a happier life. One of the greatest books on leadership management, you will ever read . Very Short Summary - An excellent philosophical book that talks about the author’s journey from an eight-time national chess champion to tai chi martial arts champion. You're going to read a very insightful book, packed with full of examples, suggestions, and tips on how to achieve goals, and improve life. The great ones are products of their own imagination. The great ones are aware of their limitless potential. A very inspiring, authentic, and well-organized self-help book, that comes with amazing, and relevant quotes. Author has divided this book into 25 concise chapters. Each chapter has a list of helpful YouTube videos for better clarity. Power Quote from the book- Successful people do what unsuccessful people are not willing to do. The author suggests making small, slight edge changes in day-to-day life to achieve massive success, as small changes blossom and earn compound interest in the form of bigger outcome. Daniel Pink gives an articulate explanation of his scientific research work on human motivation from a historical perspective. It is easy to read, and informative book despite the complicated subject. Angela Duckworth is a professor of psychology at the University of Pennsylvania. A wonderful, well-researched, thoughtful, and beautifully written book, packed with lots of real-life stories on how grit is often the factor behind the success. Everyone will love to read this great self-improvement book. The very inspiring message from this self-help book is- Talent is something you create, not something you born with. The author presents a compelling and scientifically based model on how it is possible to develop an excellent talent with intense practice. If you are interested to enhance your learning and performance, you should definitely read this influential book. Do you want to know the importance of exercise? Do you want to know, how exercise can enhance your mind and body’s capacity? If the answer is yes, then you must grab this great book on fitness and brain development. I hope you have enjoyed reading the long list of “great personal development books of all time”. Now come to the point, As I wrote earlier in this post, I will reveal the name of the Best Book that you must read, actually it's not a book, it's an Encylopedia of your life. Always remember, only you can make a difference. No great book can ever change your life until and unless you decide to change yourself. An Appeal to you: It took me more than 10 days to research, write, and edit this post. If you think it’s valuable, and share-worthy piece then do share this list on Facebook, WhatsApp, LinkedIn, Twitter, and every social media platform you are present. Final Words- This is not a final list. I will update this list after every 3 or 6 months. Am I missing any great personal development book to add this list? Do you don't want to see any book on this list? Which is your favorite book from the list? I welcome you to share your valuable feedback and comments on the post. Special Note: This post contains affiliate links means if you will buy through these affiliate links, I will earn a small commission. If you think my efforts are worthy, you can buy through these links; To run this site it will be a great help for me, otherwise, you can directly buy from any online shopping store. Thank you very much for reading such a long post. Do check other posts also and don’t forget to share this post.